Real Madrid will be hoping to cut the gap between themselves and Atletico Madrid when they take their rivals on in the Madrid derby on Saturday, while FC Barcelona will face a tough challenge away at Athletic Bilbao on Sunday. 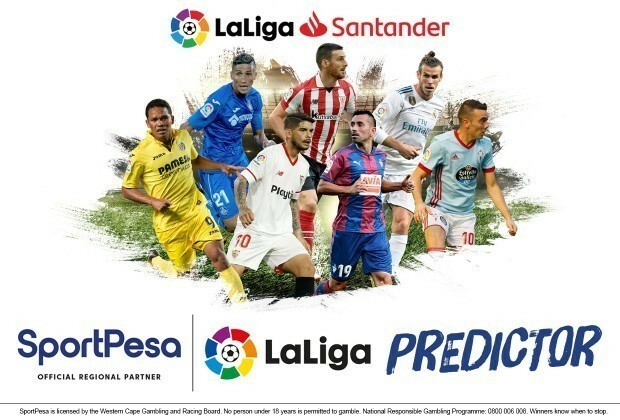 Select your predictions and start playing the SportPesa LaLiga Predictor now! If you're playing the SportPesa LaLiga Predictor, make sure to make your 23rd round picks now! If you haven't yet signed up to play, what are you waiting for? Sign up and be part of the game!